October 2014 – Jacobs and Company B.I.T.S. October brought us a pair of new iPads from Apple: the iPad Air 2 and the iPad Mini 3 — just in time for the Christmas shopping season. I love my iPad 2. It has become the primary computing device in our home next to our iPhones. I am ready for an upgrade and the iPad Air 2 looks like it has all the right stuff. The new iPad Air 2 weighs in at less than a single pound and is 18% thinner than the previous iPad Air. You have seen the commercial where they hide the original iPad Air behind a standard #2 pencil, well the new commercial slices off nearly a fourth of the pencil and hides the new iPad Air 2. It feels great to hold. Head out to a Best Buy and see for yourself. The Air 2 is light and sturdy. Just like the new iPhone 6, the display has been upgraded and features a fully laminated display that makes the images on the screen look like they are sitting on top of the glass which is one of the things I like the most about my new iPhone 6. The Air 2 sports the powerful new 64 bit A8X chip as well as the M8 motion coprocessor. The iSight (rear) camera has been upgraded from a 5MP camera to an 8MP camera for even better pictures and video. The WiFi network adapter also got a little boost by adding support for the latest 802.11ac standard. The new Air 2 also includes the Touch ID sensor allowing you to use your fingerprint to secure the device. The iPad Mini 3 received only one update from the previous generation…Touch ID. While not earth shattering it is nice to be able to secure the device and be able to unlock it quickly and easily. Beyond that the iPad Mini 3 looks to be identical to the previous generation. The mini 3 is still even running on the last generation A7 processor and M7 motion coprocessor. Even though it did not receive the same love this year the iPad Air 2 did from Apple the iPad Mini 3 is still a solid tablet for any task you throw at it, just in a slightly smaller package. Both devices come loaded with the latest version of iOS 8, with all the same bells and whistles iOS 8 provides. Cool new apps like health are supported on both the Air 2 and the Mini 3. Apple Pay is supported on both devices using the Touch ID sensor, but there is no NFC radio so you can only make Apple Pay purchases on participating websites. Tablets are amazing devices with unbelievable power and functionality that is always at your fingertips. I believe iOS still leads the market in ease of use. These 2 attributes are exactly why my entire family has given up in almost every instance using a laptop or PC for our daily casual computing needs. Backups are undoubtedly one of the most annoying parts of the IT process, not only for the IT consultant trying to monitor the success of the backups but also for the small business employee charged with making sure they swap the tape or portable drive out each night and take it with them to keep it safe in case disaster befalls the office before the next backup runs. This process is also the most crucial, especially if disaster does strike because the only way to get back to work is to restore from that backup. For years, we as IT consultants have drilled into our small and medium sized clients that that method of managing backups is the best way. Backing up to physical media, changing the media out nightly, and then taking it off site in someone’s car was the absolute best way to back up your data and keep it safe. This is no longer true, and the potential risks of data theft and loss while that backup media is outside the office could be devastating to your business. I have written at great length about the cloud; public and private, and about network attached storage. These technologies are at a point where most of the enterprise features large companies have enjoyed for years are now available and affordable to even the smallest business. The modern backup makes use of both the low cost local storage on your network as well as low cost cloud based storage either public or private. In this hybrid solution you are protected from day to day data loss caused by the occasional user error as well as a major server failure by the local backup on your local network attached storage device. This local backup is much faster to restore from reducing the potential downtime in the event of server failure or accidental data loss. A copy of your local backups is replicated to your cloud based storage where your data is safe from major disasters like fire or flood in which the office is damaged or destroyed. This cloud based storage could be a backup service like Azure Backup from Microsoft or an Amazon s3 solution or even a backup to a service to Mozy if you intend to use the public cloud. If you are using a NAS from just about any manufacturer it can be configured to copy data to another similar NAS located at a remote site. 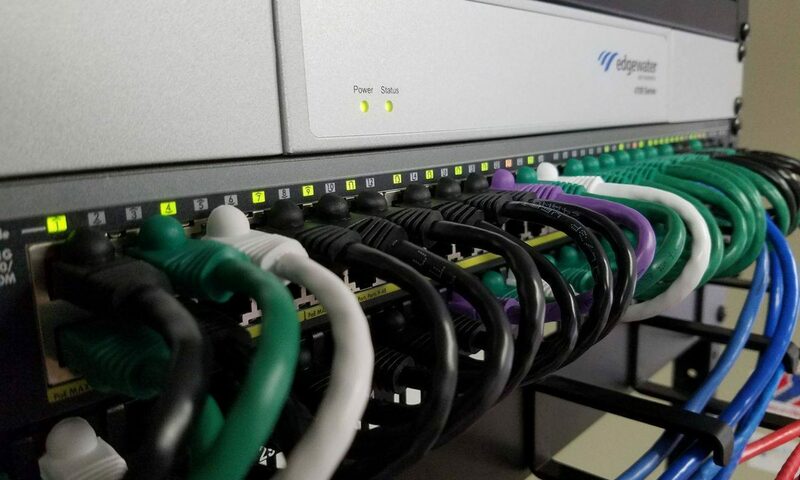 This remote site could be a data center you rent rack space from, a buddy’s network closet at their office across town, your home, or even vacation home. This second NAS can be placed anywhere you can provide internet access, even your lawyer’s or accountant’s office. Once you have your backups going they need to be monitored and reviewed on a regular basis. Backups are not like those infomercial cooking products that are on TV late at night. You know the ones…you just set it and forget it. Backups need attention. You need to make sure you are backing up what you need backed up. Old unused data should be archived and removed from the daily backups because it is wasting precious time and space in your backup window. The backup window is that period of time you have to back up all the data during which you don’t want anything else happening on your server other than your backup. Once that window closes, any number of activities could hinder your backup causing it to fail or for files not to be backed up. Now is a perfect time to review your backup strategy. Sit down with your office manager and IT pro to determine what needs to be backed up and how often and make sure those backups are still backing up the data you think they are. Backups are important and you need to know that your data can weather any storm and be available when disaster strikes. It seems almost daily there is a story in the news about another retail chain whose credit card system has been hacked. Over the last few months the number of computers running Point-of-Sale systems (POS) that have been infected with a class of Malware designed to target these systems has grown over 50%. Security experts believe that thousands of small and large retailers may be infected and not even know it. One of the more publicized pieces of malware called “Backoff” is responsible for a number of breaches as of late. The malware scans the computer’s RAM for traces of data left behind after a card is scanned that contains the card numbers and the card holder’s information then reports it back to the hacker’s network. Other similar malware applications record keystrokes and data stored on the POS computer to send back to the attacker for them to pull credit card information from. I know that most of my readers are not in the retail business; however, I am certain many of you know someone or provide services to someone who operates a retail business. These folks need to take a look at their POS computers and make sure they are as secure as possible to prevent a potential data breach. Like with any system on your network the POS computers should be secured from attacks using best practices. First an administrator account should not be used for daily access to the computer. The login used should be limited only to running the POS and any other common activities associated with the daily use of the system. Complex passwords that have to be changed regularly will also keep many potential threats at bay. The antivirus software should be up to date and have the latest virus definitions installed. Many of these POS viruses use the Remote Desktop Protocol (RDP) to send and receive data. If you can, RDP should be completely disabled on POS computers. Because the POS devices should not be accessing the internet for much, you can use devices like your network firewall to log the connections to the Internet and look for strange connections that should not be coming from a POS device. You can even block access to everything on the Internet from the POS and only allow the few websites it does need access to from your firewall or router. Taking the step of logically separating your POS system from the rest of your network using vLAN technology and access rules to police traffic between the networks can add another layer of protection to these devices. Hackers will always look for the easiest target. Like any thief they are criminals of opportunity. Smaller retailers may not be making the news like Home Depot and Dairy Queen, but make no mistake the threat is just as real for the mom and pop retail store or restaurant using POS in their business. As it turns out, I got the new iPhone 6 and my wife got my iPhone 5s that was less than 6 months old. My oldest son has been absolutely pestering us for an iPod Touch, or an iPad, or an iPhone of his own. He is 8 and even as tech forward as I am, I am not about to give him a phone at that age. The shuffling of phones between my wife and I did however leave us with an unused iPhone 4 that, without the cell service makes a perfect iPod Touch. I began to set the phone up for him and realized he was using my wife’s Apple ID which means he had unlimited access to buy whatever he wanted from the iTunes and App Stores. This is no good, there has to be a better way. Even if I create an Apple ID for him and say he is over 13 I have no real control over the content. Family Sharing, which became available with iOS 8 allows me to create a special Apple ID for my child, one that allows me to control what he can buy. If you haven’t heard of Family Sharing it allows you to share applications and a single payment method among a group of Apple users you invite as part of your family. If you haven’t discovered this new feature yet on your iPhone, it is under Settings>iCloud. You can turn on Family sharing here and once it is set up you can go back and invite family members and most importantly create a child’s account. The account creation process is easy. The only requirement is that you have your default payment option set to a credit card and not a debit card. They use this as part of the parental consent process. Once the account is created you can change the default payment method back. It is important to use your child’s actual birthdate when setting up the account because it changes certain defaults. For example the ask to buy feature is turned on by default for accounts of children under 13. This means you have to approve a purchase from iTunes or the App Store before they can complete the transaction. Now that my son has his own Apple ID I can finish locking down his device. I can set up restrictions on the phone like not allowing in app purchases. I can also set rating levels for the content that is allowed on the device. To access restrictions go to Settings>Restrictions and touch Enable Restrictions. Changes made to the device restrictions are protected by a passcode you create and enter at this step. For more information about the kinds of restrictions you can set have a look at this article from Apple support http://support.apple.com/kb/HT4213. It has taken Apple a long time to figure out how to safely cater to their younger users, but I think with the right combination of Family Sharing and restrictions we can be confident our children’s experience using Apple devices will be safe and fun for them and my credit card.